“What’s that stink?” Barnyard asked, just as the terrible smell hit Bee full in the face. Something darted from the bushes on the opposite side of the road. Another Abhorrent? The animal moved with an awkward speed, legs moving faster than the rest of it, and the monstrosity lurched wildly towards them. Blackie screamed when she saw the thing lurching ever closer towards them. She bolted, Bee right behind her, while Toddy and Barnyard remained fixed to the spot as the monster flew past them. “Come on.” Bee yowled, the creature catching up as they crashed through the brambles, the thorns tearing at their fur. The breath of their pursuer tickled Bee’s rump as the beast wheezed and dribbled right behind him. Blackie’s fear blocked his nose, his eyes blinded by leaves whipping at his face. The shadow was catching up with him, was so close on his heels. Tep sprang from the undergrowth, claws reaching for the creature. Bee’s chin connected with the ground as the Mau flew over his head, face creased with determination. Sawat and Rufus were right behind him, bowling into the attacker. Bee dragged himself from the soil, ready to help his friends. It was a cat. A cat that scratched and bit and tore at the flanks of the two Mau, the most terrible noise spluttering from its throat. Blackie clapped her paws over her ears to shut out the wailing as she cowered next to Bee. He could see the others, safe, but cowering in the undergrowth. Bee dragged Blackie into the gaggle. “Where are my boys?” Blackie asked. There came a scream from the road, cut off abruptly, and Toddy ran past as though his tail was on fire. On his heels followed two more felines, their fur dishevelled and mouths foaming. The cats tripped the fleeing Toddy, dragging him down, biting and ripping. Rufus was on them like a wild creature, tearing their teeth away from Toddy’s face. He dug his claws in with relish, delighting in the rip of fur and skin. Bee cowered in the bushes as the ginger cat slashed and boxed and grabbed an exposed neck between his teeth, his jaw locking and his feet kicking. The strange cat wrapped its paws around Rufus’ head. “Oh no you don’t.” Bee threw himself at the cat, biting down hard on its foot. With a high pitched howl it released Rufus from its stranglehold. The smell of the cat was eye watering and Bee tried desperately to close his nostrils against the assault. Beside them, Sawat and Tep danced, spinning and leaping and slashing. Not a splash of blood smeared their spotted coats as they tried to weaken the stinking creatures. Their opponents kept getting back to their feet, screaming with voices no Siamese could match, like air escaping a balloon. Bee chewed on the elbow of the cat, his teeth meeting, but the animal did not go limp or cry out, instead it kept pushing and snapping at them both with vigour. Rufus was tiring under the assault. The animal didn’t even notice Bee, it was so intent on ripping Rufus into pieces. This was not natural. Bee released his hold on the monster to take a gasping breath and a closer look at the cat so eager to take his friend’s life. The staring eyes of the animal were filmy and squishy. A dead fish looked fresher. The cat was not using his eyes anymore, in fact, the whole cat was a puppet on a string, dancing and flicking his limbs in a manner most unnatural. “They are the Restless and they never stop. 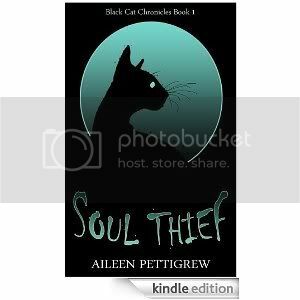 We will soon be exhausted, but they never tire, we have to flee.” Tep rubbed his eyes, red from the cloud of putrescence that shrouded the dead cats. “By Decessus, that is Biscuit.” Pyewacket said. The tortoiseshell cat attempting to tear Rufus apart was a Housebound cat who had once paraded herself up and down for Rocket and been clouted by Pyewacket for her nerve. The tortie had been out hunting moths one night and never made it home again. “She looks as though she has rather let herself go.” Tzar said. “Run, you fools.” Tep leapt into the air and threw Minou in front of him, spurring the tiny cat towards the town. Pyewacket had already taken the initiative and her rear end could be seen bouncing down the road, her tail streaming behind her. Rocket yanked the dead Biscuit from Rufus’ back and threw it into the brambles, dashing out of the reach of the creature as it staggered towards him. Rufus yanked Bee to his feet. The white cat shook her head, “We’re going to find Barnyard and get inside the zoo. We will take our chances there, we’ll be okay, you lot run for it.” The two cats limped into the brambles. Rufus jumped in to help Sawat who had managed to roll a rock onto the tail of one of the creatures. The Restless tore at the ground, ripping its claws out at the root, snapping and cracking in its desperation to grab onto living flesh. “Let’s go.” Bee pushed Sawat and the cats shot into the encroaching night. The cats did not stop running until they tumbled into Bee’s garden. They had managed to outrun the Restless, but who knew how close they were behind. Sore and exhausted, the cats huddled in a pile under Bee’s fuchsia bush, the branches hugging them close. The street light overhead pinged into life and sent fresh waves of panic through the cats as their shadows flickered wildly. “I would say you have found your proof.” Bee said. Miserable, the cats clung together, appreciating the company of fellow living beasts. Bee listened intently to the heartbeat of the ginger cat pressed against his side, delighting as his friend’s heart slowed to a regular, reassuring rhythm. The night grew bitterly cold. The panic rose in Bee’s throat as the exhausted cats decided to brave the dark and head to their own warm, safe homes, stumbling away into the cold, leaving him all alone. Rufus licked Bee’s forehead, reluctant to leave his friend, but he pointed out he was only on the other side of the street. “If anything happens, I will be right here with you.” he said. Bee miserably watched Rufus hop through an open window of his home, his white-tipped tail disappearing inside. All on my own again. He turned his attention to the light streaming from a doorway further down the street. A woman stood on her porch, shrouded in the glow of a warm kitchen. She clutched a jar of cookies. Every so often the woman shook the jar miserably and called out to the night. Bee mewed sadly. Biscuit would not be coming home again. Her paws slid from underneath her, she heard the sharp crack. The cat yelped as she plunged into water so cold the air was forced from her lungs and every skin follicle screamed and burned. Minou kicked out, driving herself to the surface but her skull met ice and forced her back down. She sucked in a breath from sheer terror and the muddy, greasy water flowed into her lungs. She thrashed out with everything she had, her mind screaming as she ran out of air. She could not even tell if she was the right way up any more. Her body begin to die and she thrust her paws over her head in panic. The cold winter air hit her damp fur. She scrabbled frantically, trying to find the edge of the hole. Her vision darkened. Struggling became pointless. Minou squealed as something sharp clamped down hard on her paw. She drew another breath and filled her lungs with mud and ice. She could see the dark shape of the cat looming over her, then her head smacked on the underside of the ice as her foreleg was pulled upwards rapidly. She kicked out with her hind legs, her face broke the surface and she sucked in the chilly air, her throat full of rust. Her shoulders were free of the water now and her paws scrabbled desperately until she found a chink in the ice. Her hind leg found purchase and then she was free. She dragged her tail from the quagmire, heavy with water. Minou cried out in alarm as she was scruffed like a kitten and hauled away from the deep puddle. There was solid ground underneath her feet again and she collapsed into the snow. She lay on her side, panting, her eyes squeezed tight. She was coated in grease and gasped for air that burnt her lungs, her sides trembling uncontrollably. A hot body wrapped around her sodden flanks and drove the cold away. She wheezed through her nose and the smell of roses surrounded her. She couldn’t quite believe it. 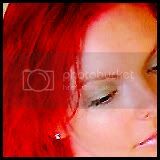 Opening her bloodshot eyes, the light danced in front of her as she focused on the wall of red fur that enveloped her. Rufus flicked his whiskers at her, his eyes reflecting the grey above. They showed sorrow and regret and something else, something that made her heart jump and chest tighten. He didn’t need to say anything more. Minou sat up shakily as strength returned to her limbs, her pads no longer an interesting shade of purple. “Where did Calamus go? The black cat surged from the snowfall and dived at the pair, scratching, biting, snapping. He dragged his claws across Minou’s shoulder before she had a chance to react. Rufus yanked Calamus from her back, throwing him into the snow, his legs stiff as the cat hurled himself back onto his feet, claws reaching out and sinking into Rufus’ side. All three cats slid dangerously close to the dark water churning against the ice. Minou grabbed Calamus by the face, her claws digging deep into his cheeks. With what little remained of her strength, she thrust the residual magic from the factory straight into him. It emptied into his skull and he screamed. Calamus boxed her full in the face before he fell onto his side, stunned. “Run.” Rufus howled, but Minou was unconscious in the snow.